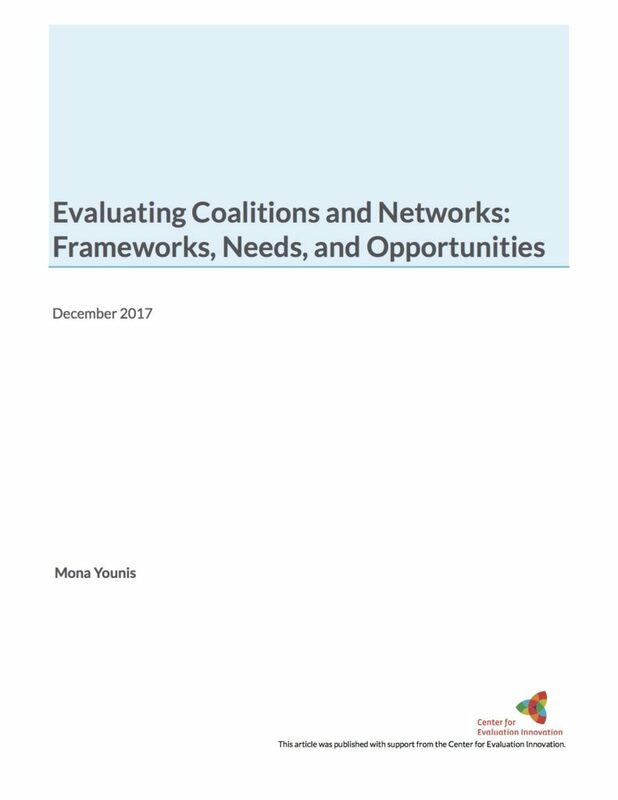 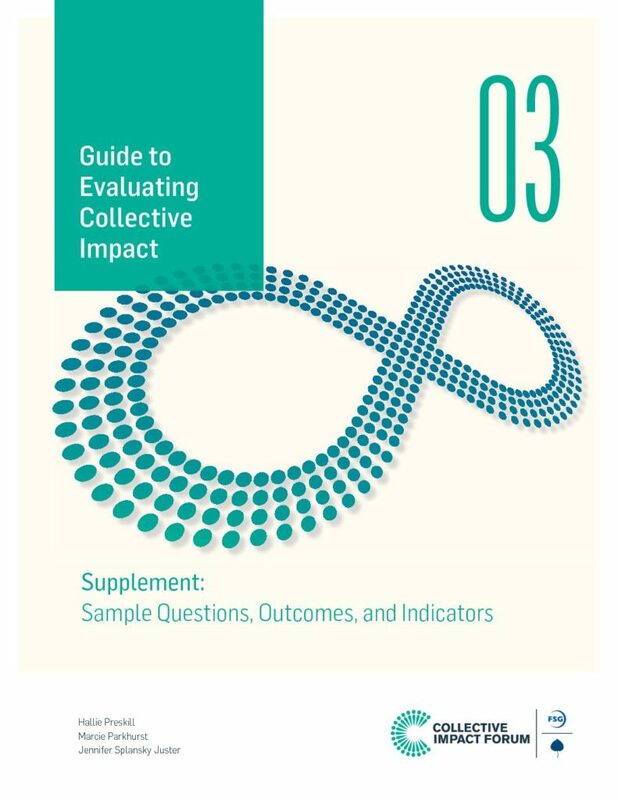 Download this article to learn the five simple rules that that can assist participants, funders, and evaluators of collective impact initiatives to track their progress and make sense of their efforts. 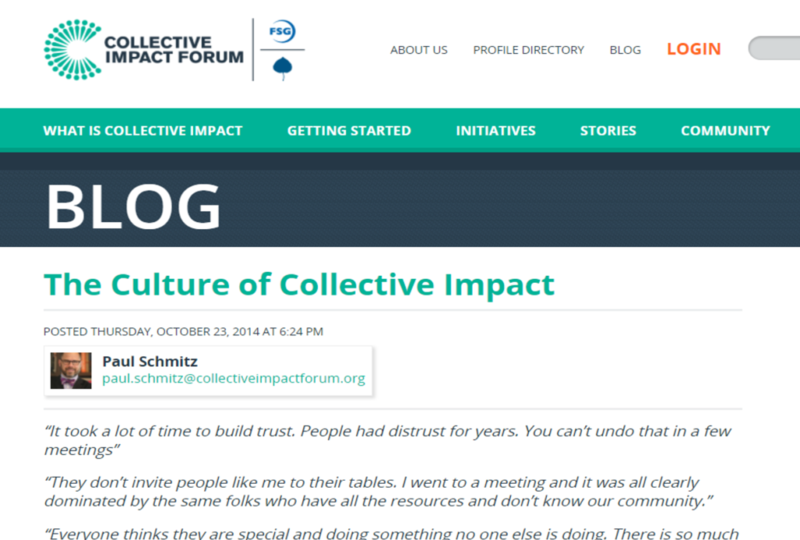 Downloading requires signing up to join the CIF, which is free and which we recommend. 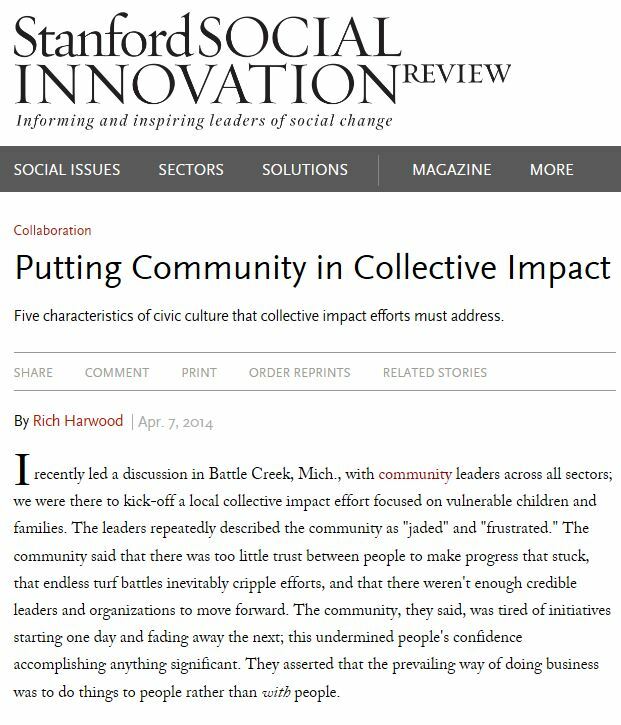 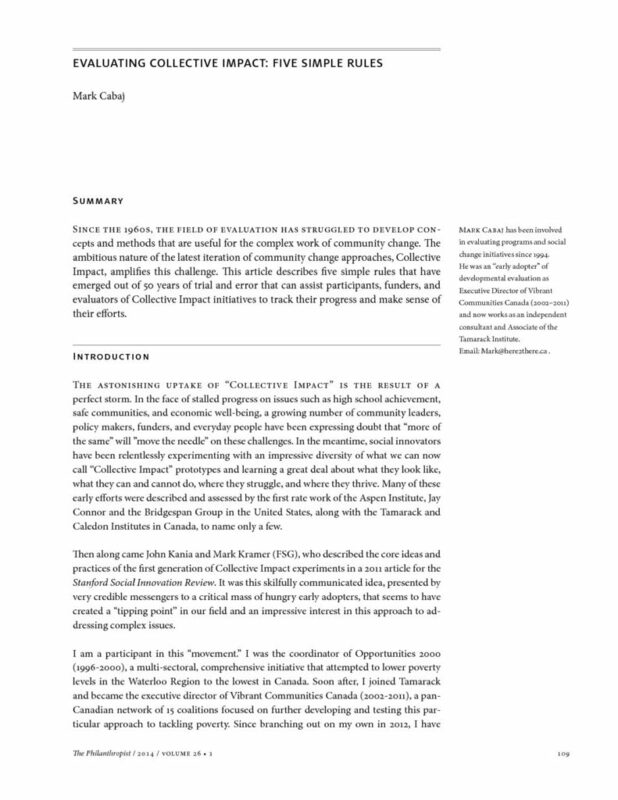 Published in the Stanford Social Innovation Review and written by Richard C. Harwood, the founder and president of The Harwood Institute for Public Innovation, this paper makes the case for including community in cross-sector, high impact efforts from the perspective of Collective Impact. 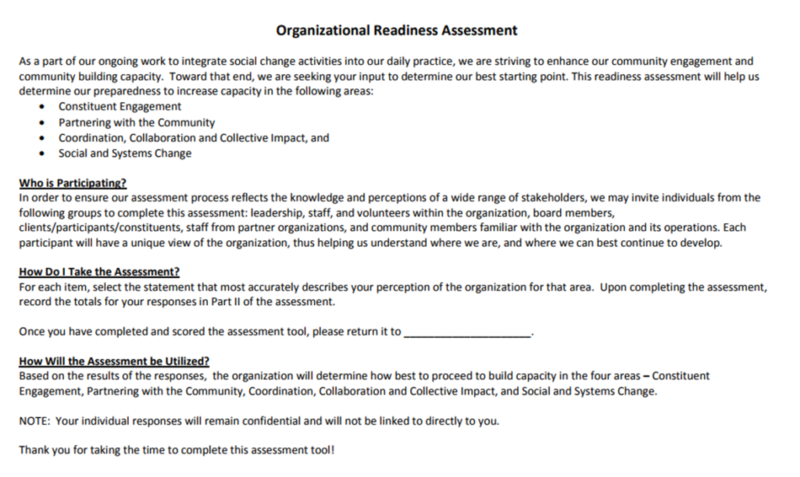 It includes questions for consideration and could be used to spark a goal setting session.